Sediments are defined as continental and marine deposits of particles coming from preexisting rocks alteration and suspended solids precipitation. The accumulation of these materials, due to continued intervention of natural as well as anthropogenic activities, presents a serious environmental issue. Consequently, a dredging operation becomes necessary in order to maintain marine commercial activities. Before this operation, a detailed knowledge of sediments characteristics is required. This step of investigation plays an important role in the further management of dredged materials. In order to optimize and facilitate the characterization phase, correlations between properties of sediments must be determined. This paper aims to study the correlations between characteristics of marine sediment dredged from different Tunisian harbors. In this context, sixteen samples were extracted from studied harbors. The first part of the paper is devoted to present the methods used for the characterization of sediments, including the total organic carbon, pore volume and specific surface area. The second part deals with the Results analysis. The last part is dedicated to the analysis of relationships between properties. Significant correlations between both couples (TOC vs pore volume) and (TOC vs SSA) were determined from Tunisian sediments characteristics. This study was funded by the partnership Hubert Cruien “Utique” of the French Ministry of Foreign Affairs and the Tunisian Ministry of Higher Education and Scientific Research in Tunisia (Project N° 14 G 1116). 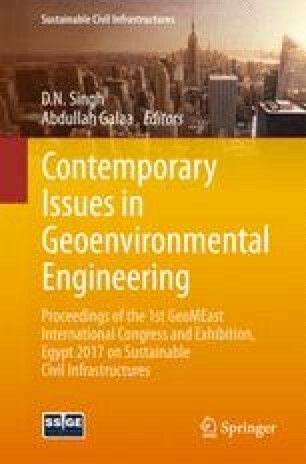 The authors express their acknowledgements to the Tunisian Merchant Marine and Ports Office and the Tunis International Center for Environmental Technologies.